Xi’an, China, the 5 000-year-old capital of 13 dynasties, has a vast array of history, art, architecture, archaeology, and culture. Its recent incarnation as a crucial part of the international and infrastructural One Belt, One Road initiative — a massive infrastructure and trade project connecting China to 70 other countries — also makes for great shopping and amazing displays of technological innovation. 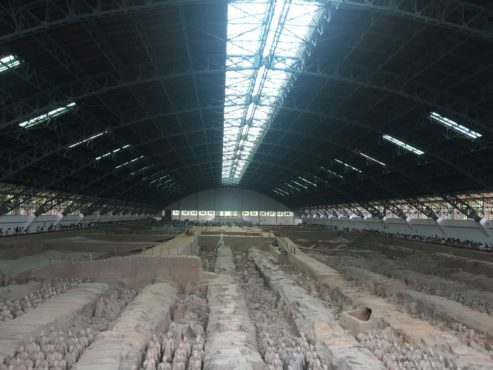 Archaeologists estimate that over 8 000 soldiers are buried in pits to protect Qin Shi Huang (259–210 BCE), China’s first emperor, in the afterlife. The entire necropolis may take up as much as 100 square kilometres, and the pits are active excavation sites. Tip: Pay for the English-speaking guide service. They will give you a Bluetooth earpiece so that you can enjoy the commentary when you get separated, which you will; according to our guide, around 100 000 people enjoy the soldiers each day. This imperial hot spring has been used for thousands of years, but is best-known as the Tang dynasty’s winter palace featured in the tragic love affair between Emperor Xuanzong and his favorite concubine, Yang Guifei. It is also the location of the Xi’an incident of 1936. If you don’t know the history, look it up before you go and you’ll find that Chiang Kai-shek’s pre-revolution headquarters and bathing room have been preserved — bullet holes and all. The Huaqing Hot Spring’s award-winning performance of The Song of Everlasting Sorrow is the model show of its kind in China. Over 300 performers in Tang-era costumes perform on Nine Dragon Lake using real-life pavilions and Mount Li as the backdrop. The show is a technological and performance masterpiece, with three LED soft projection screens and thousands of high-powered LED bulbs on the mountain, along with a dazzling display of hydraulic set pieces, aerial elements, and flames on the water. There are performances nightly April through October. Do not miss this show! Tip: Stop here in the morning before going to the Terracotta Warriors. This site has less protection from the afternoon heat, and you will want to spend a couple of hours exploring. These iconic fourteenth-century towers were once the heart of the ancient capital. The bell tolled at dawn, and the drum marked the end of the day. 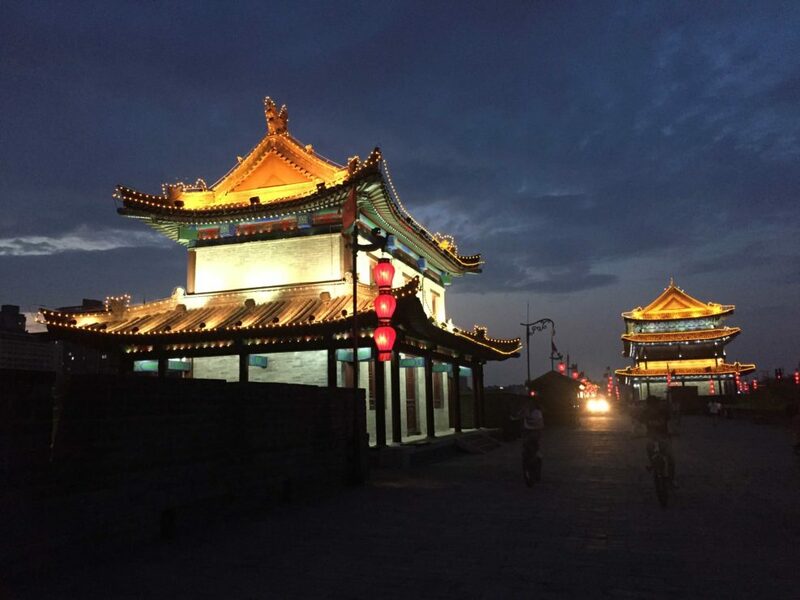 These multi-tiered wood and brick structures are at their most photogenic after dark, but if you want to go inside and see the intricate Ming interiors and exhibits, you need to get there before 4 p.m. Tip: The Drum Tower is next to the Muslim Quarter. Visit the Bell Tower first, then the Drum Tower on the way to the Muslim Quarter. Get your night shots on the way home. The area around the Great Mosque is home to the Hui people, whose vibrant culture can be seen in their distinctive food and dress. With the rhythmic sound of men hammering Biang Biang noodles, the aromas of silk road curries and squid skewers, and the sight of freshly butchered lamb carcasses hanging next to technicolour iced desserts, this area is a foodie’s paradise! 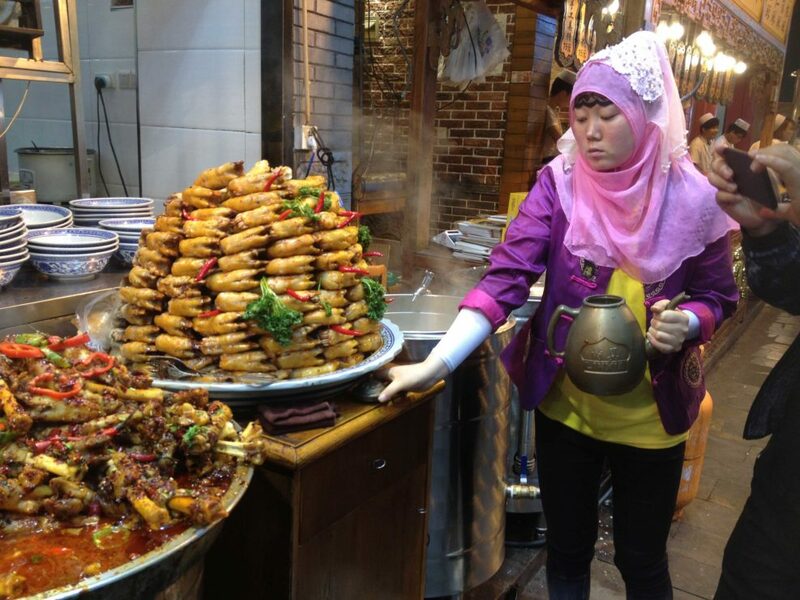 If you aren’t ready to chow down, stroll through Haujue Xiang, the alley beside the Drum Tower, and barter for goods on the way to the Great Mosque — one of the largest and oldest mosques in China. Purchase a ticket (all proceeds used for restorations) and wander through the courtyards of Chinese-Muslim architecture, before making a beeline over to the food stalls. The Steles Museum houses over 11 000 relics, including national treasures such as stone tablets containing Confucian classics, the world’s first dictionary, the Nestorian stele detailing Christian missionary work in the Tang dynasty (618–907), and an incredible collection of Buddhist and Daoist sculpture. It’s another can’t–miss stop in your journey across Xi’an. Many of the tablets were meant as permanent curricula for scholars, and superstition has it that crossing the bridge to the gate at the entrance will ensure a high grade on an exam. Tips: The Stele Museum is one location where you will need a guide. Oh, and those ginormous animals that carry the slabs are not turtles, but Bixi, son of the dragon king. These exhibits take you from Bronze Age Zhou, through Qin and Han and Tang dynasties, all the way to the Qing. 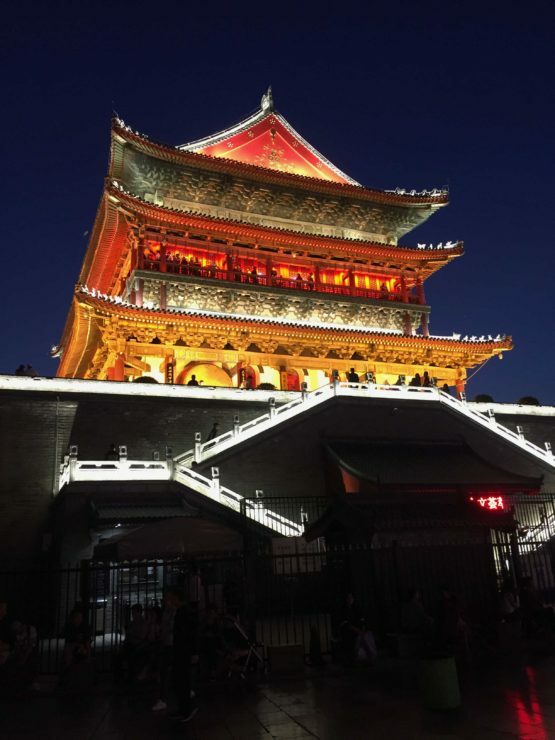 It is simply the best museum in Xi’an, but be sure to go in the morning before exploring the next stop — the Great Wild Goose Pagoda. This Buddhist pagoda was built in 652 CE to house sutras brought by the monk Xuanzang, who travelled to India in the seventh century. It leans to one side due to an earthquake in 1556. Most days of the week, a large-scale musical fountain show plays once in the afternoon and then again at night. There is also a traditional food market beside the pagoda, which serves reasonably priced and authentic Xi’an cuisine. Tip: Beware of the hard sell if a guide takes you past the meditation room to a painting area with souvenirs. I know someone who had a painting ripped out of her hand and wrapped up before she had decided if she wanted it. The clerk then badgered her until she bought it. If you aren’t interested, simply say “Bu Yong” (“no need”) firmly with a smile. Go up to the South Gate just before dusk and rent bicycles for the 14-kilometre circuit. The trip will take about one or two hours, so be sure to pack enough food and water at the beginning of your trek. Don’t forget to stop and look over the edge to see temples, choirs, and the nightscape of the city. Everyone needs a day trip! Huangdi’s Mausoleum is a tomb for the legendary Yellow Emperor that many Chinese people regard as their ancestor. Everyone seems to agree that he didn’t really exist, yet almost everyone agrees that he planted a cypress here. Nonetheless, if you are interested in communist China’s monumental architecture, don’t miss this one. Next, head to the second largest waterfall in china, the ‘yellow’ Hukou Falls and scrabble down steep slippery-rock outcrops for the perfect selfie. You can also ride a decorated donkey or converse with one of the busloads of Chinese septuagenarians. Xi’an is the birthplace of Chinese opera and a number of studios teach that art as well as calligraphy, ink painting, paper cutting, and Chinese dance. 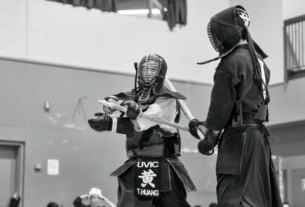 The community is dotted with basketball and ping pong courts, and the squares and parks fill mornings and evenings with seniors and students doing tai chi, ballroom dancing, and aerobics. Finally, get credit for your travel! 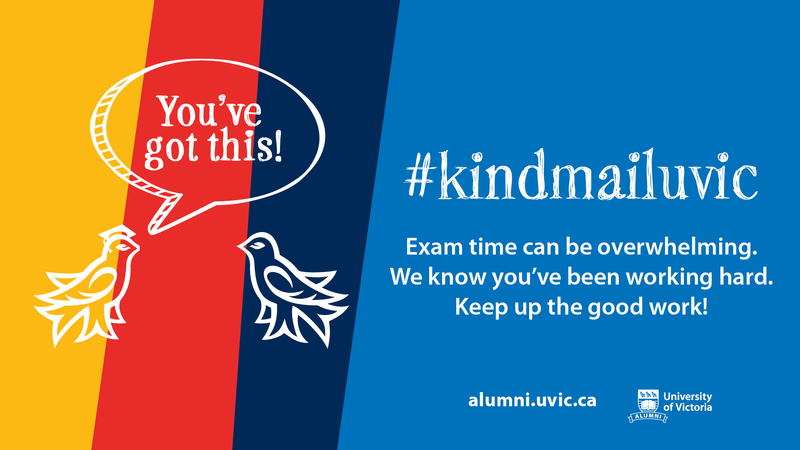 All the activities listed in this article and more are part of the University of Victoria’s PAAS 397, the five-week immersive field school to Xi’an. You don’t have to be a Chinese Language or Asian Studies major to be considered for this experiential learning opportunity. Check the course calendar to find out when the next PAAS 397 field school to Xi’an will be offered.